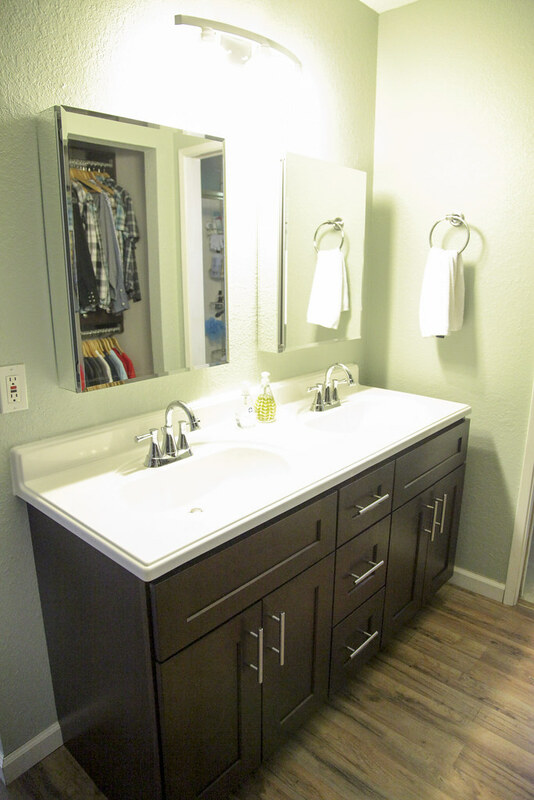 Today Joshua put up our two new medicine cabinets thus finishing our mini-remodel of our master en suite. 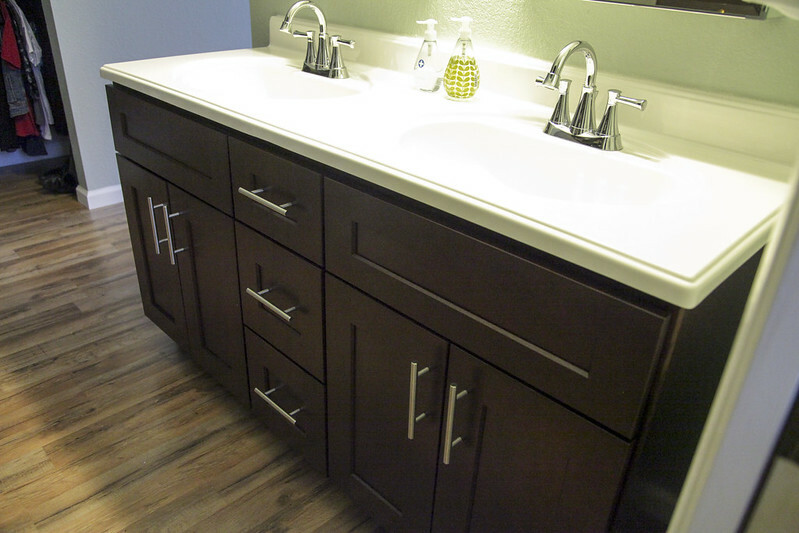 We had to tear out our old vanity when we put the new flooring in, so we decided to give things a more modern update. 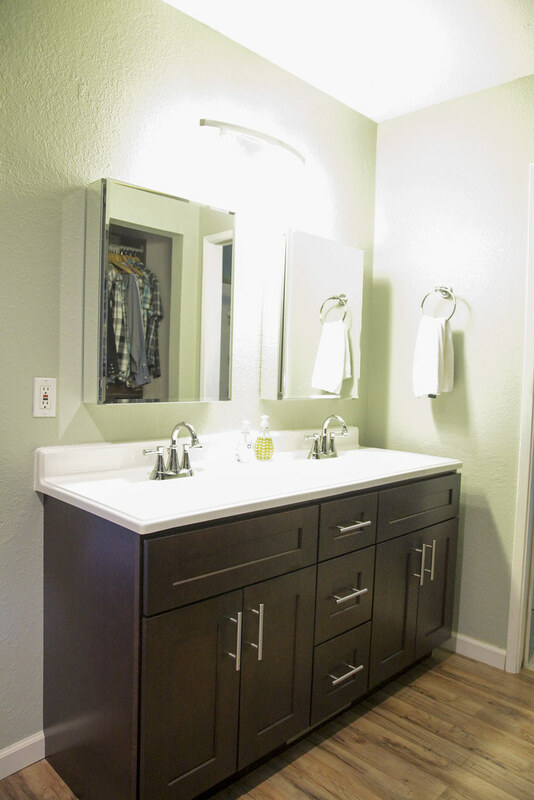 Between a fresh coat of paint, a new vanity + countertop, and medicine cabinets it all came together quite nicely. Next on the list? 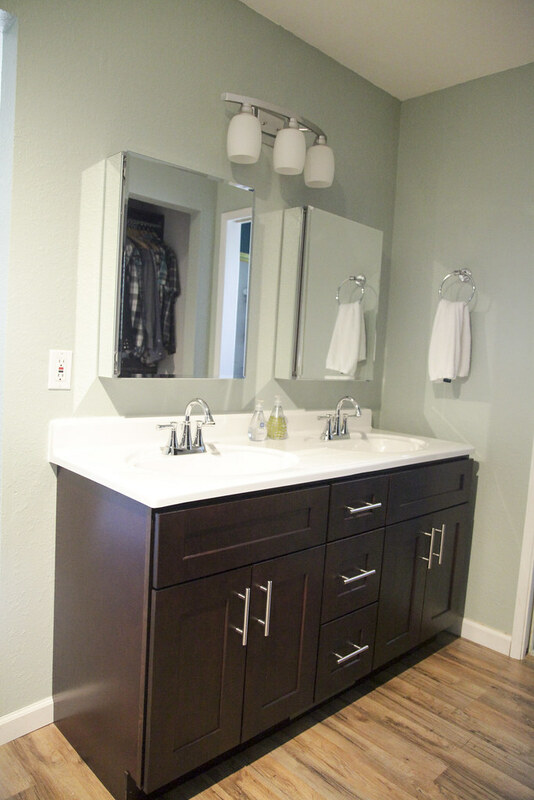 Getting sliding mirror doors for our closets!